Cellulite, also known as 'orange peel skin' or 'cottage cheese skin,' is characterized by a bumpy or dimpled skin appearance. It becomes visible when the fat cells push through the connective tissue giving the skin surface an uneven appearance. It is thought that hormones, genetics, diet and lifestyle do have a role in the production of cellulite and the reason why men rarely get cellulite as opposed to women is because women have their fat cells and connective tissue arranged in a different way than men. Maintaining a healthy diet with lots of fruits, vegetables and healthy fats, while avoiding processed food together with exercise and hydration are keys to helping the body rid itself of toxins effectively and diminish the chances of the appearance of cellulite. Increasing your intake of healthy fats such as coconut oil and pasture-raised ghee and butter, while reducing your intake of refined carbohydrates is essential to get rid of the excessive stored fats. Eating healthy fats activates ketosis, which is a state where the body burns fat for fuel thus helping us get rid of any unwanted stores. Below are two tips to help reduce cellulite. The lymphatic system is the main system responsible for the detoxification and cleansing of our body of toxins. It acts like the drainage system that gathers toxins from all around the body and transports them through the lymph fluid for the body to get rid of them. It is however important to have the lymph fluid flowing smoothly as any sluggishness would lead to the accumulation of toxins with our body. One of our body's techniques to keep the toxins away from the blood stream and vital organs is to hide them within fat cells, which may manifest in the appearance of cellulite. That is why it is of utmost importance to keep the lymphatic system unclogged and the lymph fluid flowing without obstruction. Research suggests that lymphatic drainage massages may be effective in reducing cellulite. One of my favorite ways to keep the lymph fluid from becoming sluggish is dry brushing. It's an old technique that has been used for ages. As a bonus, dry brushing helps us get a glowing skin through removing the dead cells that accumulate on it. It is said that a normal person sheds around one million dead cell everyday, wouldn't it be great to get rid of them all? Brushing must be done in short circular strokes moving towards the direction of he heart, which means we move from the feet upwards and from our shoulders downwards. Caffeine has been shown to reduce the appearance of cellulite (2) and below is a very easy recipe that is made with coffee grounds. 1 cup coffee grounds ( you can use the ones in your coffee machine if you like). 1/3 cup of raw honey. 1/2 teaspoon green coffee oil (optional). 3 drops coffee essential oil (optional). 3 drops vanilla essential oil or 1 teaspoon vanilla essence (optional). Place all ingredients in a clean mason jar and mix well. You can safely use this scrub daily before taking a shower. 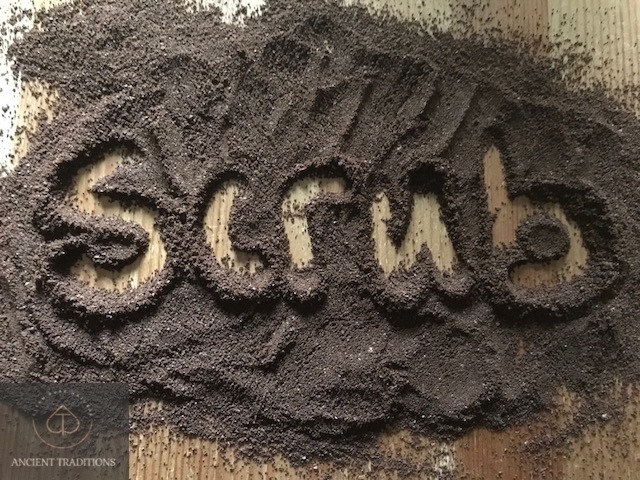 Dry brushing before using the scrub would give you an added advantage. Do you have cellulite? Share your experience with us!